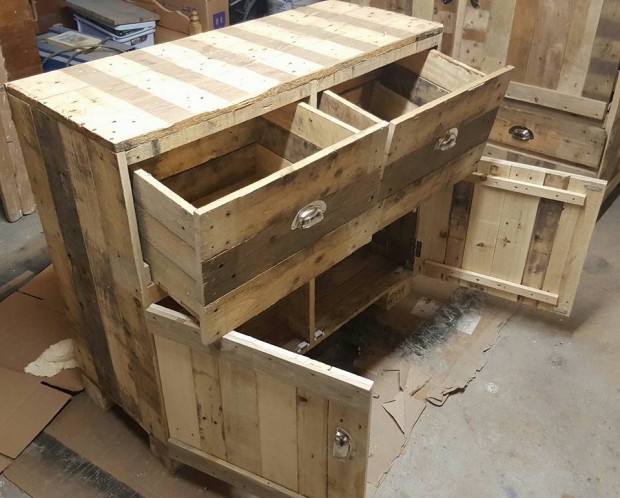 wooden pallet recycling is our specialty, so here we bring you guys some marvelous and handy DIY pallet recycling ideas where you get a number of wooden products for your practical use in daily life. 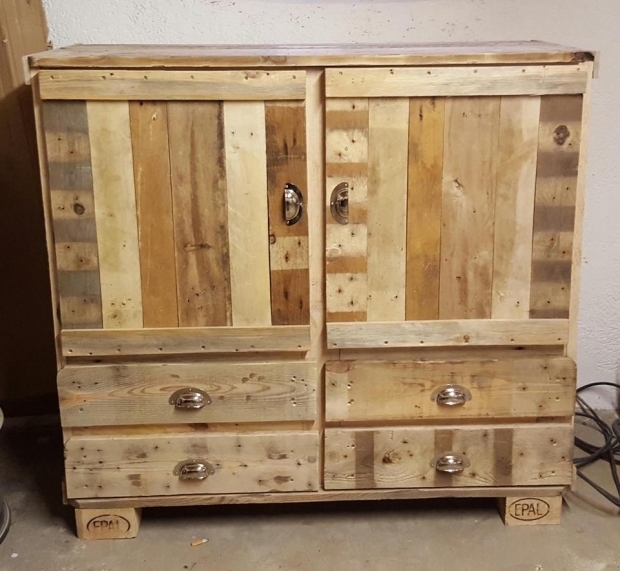 so in the continuation here we bring you a DIY pallet wardrobe. 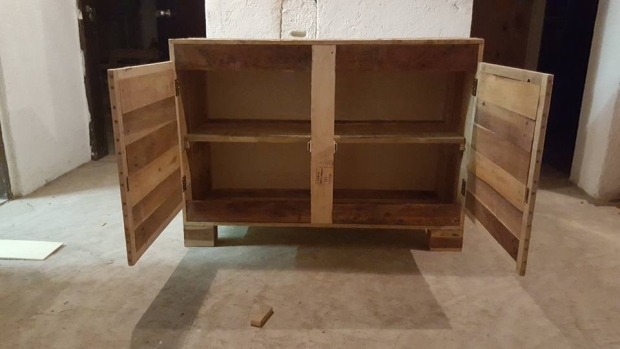 well, to some its definition could be slightly different, but basic concept behind this wooden object is to provide you with plenty of space where you can put in it your certain accessories like clothes, shoes, and some other daily use items. 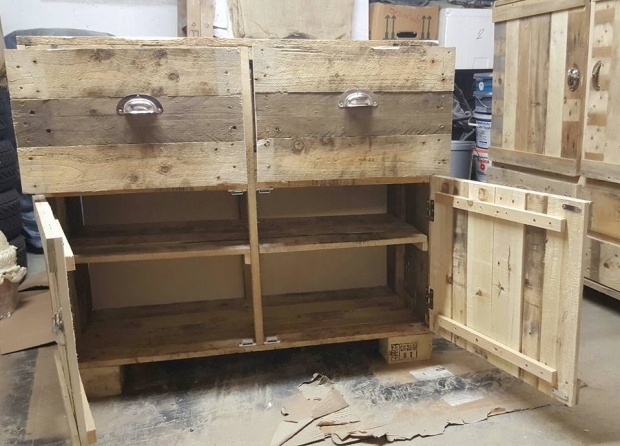 in this DIY we would be having a detailed discussion on making this wood pallet wardrobe. So before we get started, we have to chalk out a plan. the things that we would be requiring during the procedure would be a bunch of pallets, hammer for nailing, glue, a saw maybe miter saw, and some gloves and goggles as precautionary measures. First of all we have to disassemble the wooden pallets with any tool that is available with you. now piling them up, we would be making the basic frame of this wooden wardrobe. 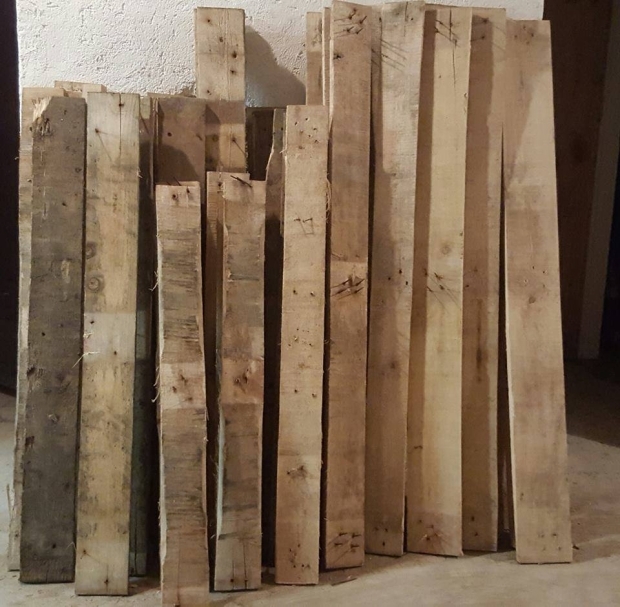 look at the pattern used in here, some long wooden planks are fixed on both sides, and then the additional empty space is filled in with some cut to size pallet planks accordingly. Here we are done with the basic frame, additional slimmer wooden slabs are fixed on the internal pallet sheets giving the space for the installation of wooden shades making each segment of this wooden wardrobe. and on the front there is final pallet plank to make the sections of wardrobe. 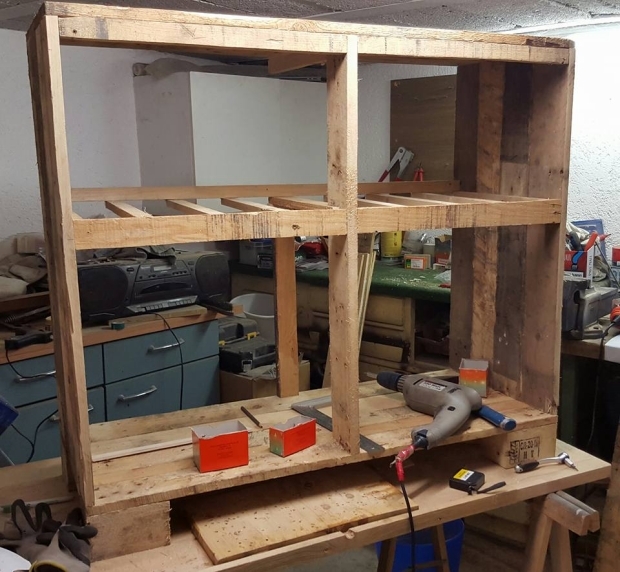 After making the basic frame, now comes the time to install the closing doors and drawers on the base. doors are two wooden wooden sheets fixed on the inner ends with the help of metallic railings so that they could be opened and closed easily. Here you see them being closed, actually how would they look on your newly recycled DIY pallet wood wardrobe. 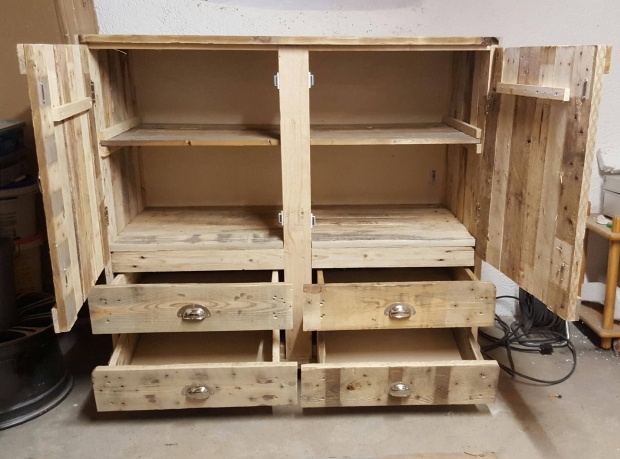 the wooden pallet doors are made using cut to size pallet planks, and an additional wooden slab is also fixed inside to keep them joined firmly. 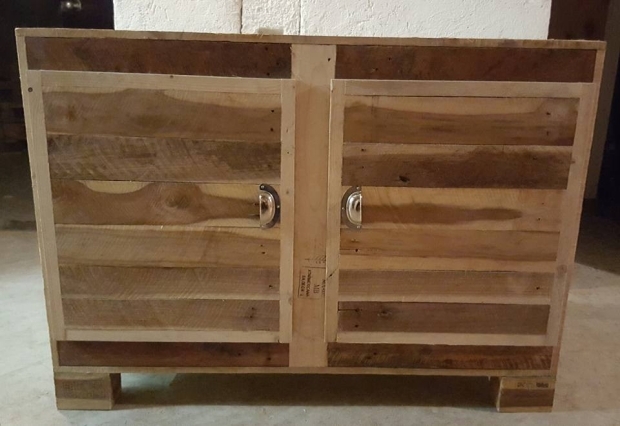 And here you see the front look of this wooden pallet wardrobe. we are going to make this other wardrobe following the same pattern we used in the last one. first of all we would make the basic frame with empty spaces spared for multiple boxes and drawers. Here we come across another pallet wardrobe. 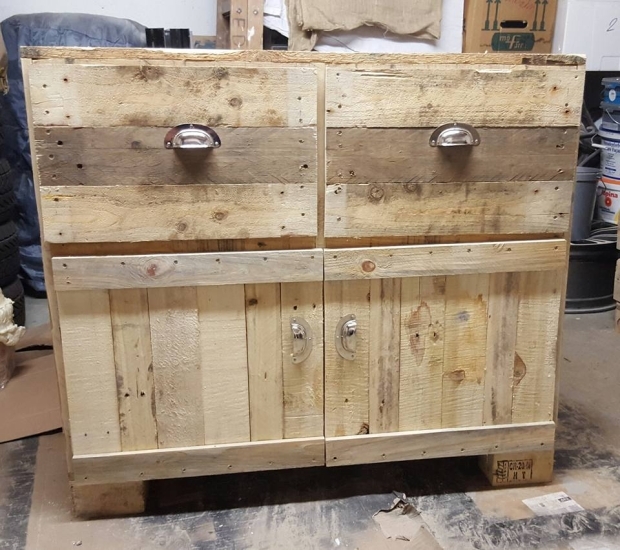 this one is relatively smaller one, same horizontal and vertical installation of wooden pallet planks here, and a very decent pair of handles is installed right on the front doors. while the lower four drawers are made in a boxed shape object and then put inside the specified spaces. Look here finally, the upper cabinet is covered with a front door and lower drawers are also camouflaged with a similar door. the handles used on lower doors are different to give a contrast. 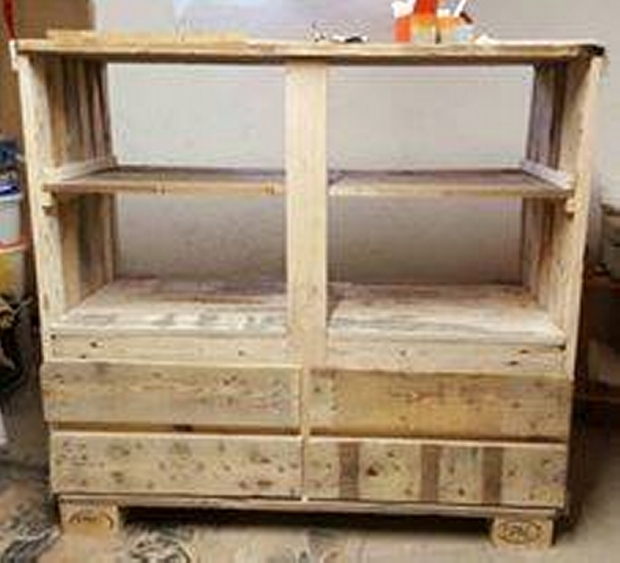 and finally do some fine sanding to give a final look to this wooden pallet wardrobe.